Trade Show Hours: 8:30 am- 4:00 pm. Oak Room, Main Hall, Saanich Fairground @ 7 pm. We are planning to invite several member farms who use social media tools to come and share their stories about how social media helps promote their farm or winery business. This entry was posted in Blog, Markets and Special Events, Uncategorized and tagged farming events, NaBloPoMo, save the alr, vancouver island agricultural events. Bookmark the permalink. 😀 Good luck with your events! Great list, thanks Nikki!. Nice to have it all in one place. I wish I could get to the egg addling workshop, it would be really worthwhile, but I won’t be able to. Looking at the agenda, I see that half the day is egg addling, and half is the permit process – 2.5 hours to understand and get permits? Wow. I’m hoping to get up to the Island Ag show, maybe on the Friday. I won’t make Famer2Farmer this year, but I got a lot out of it last year – the key was to get chatty with people – made some really great contacts. The workshops were good too. I’m hoping to make it to that one too. There’s definitely a lot to choose from in the next two months. 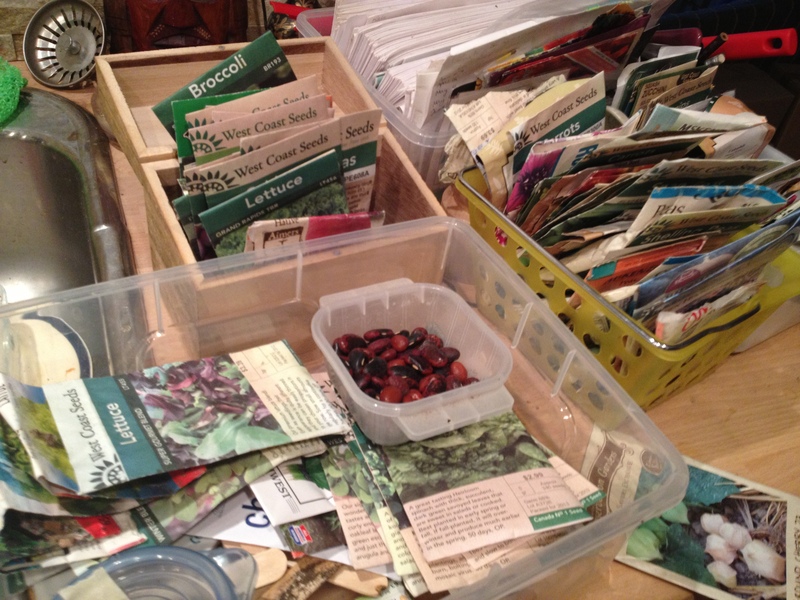 A gardening book exchange at Seedy Saturday is a brilliant idea! Thanks for posting such a great list of events. True, it is a bit dangerous to be around books,however if one had extra pallets one could always build more bookshelves.